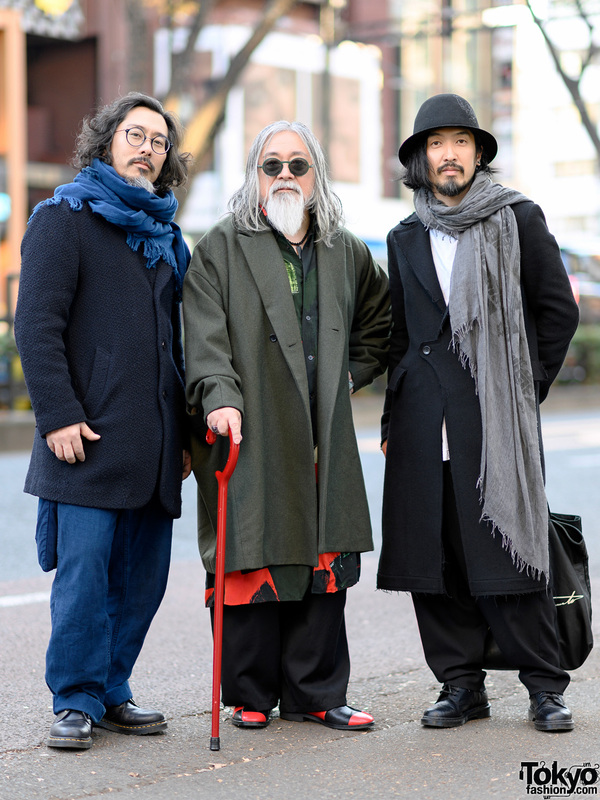 Japanese trio sporting stylish winter streetwear styles while out and about in Harajuku. 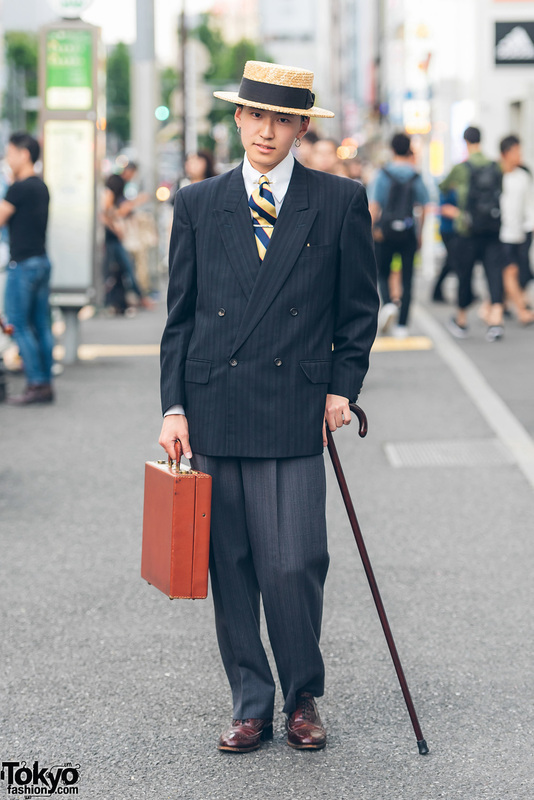 Harajuku guy sporting a dapper retro vintage style with double breasted coat, custom made shirt, necktie, pleated pants, lace up leather shoes, a vintage briefcase, and a walking cane. 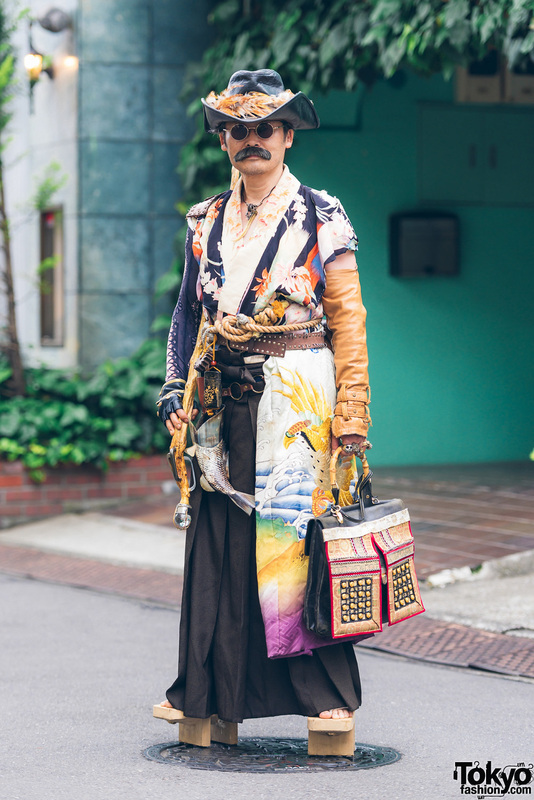 Harajuku civil servant in steampunk style fashion with printed kimono shirt w/ leather & tattoo sleeves, long pleated skirt, geta sandals, a cowbot hat, steampunk glasses, knuckle duster rings, a walking cane and a briefcase. 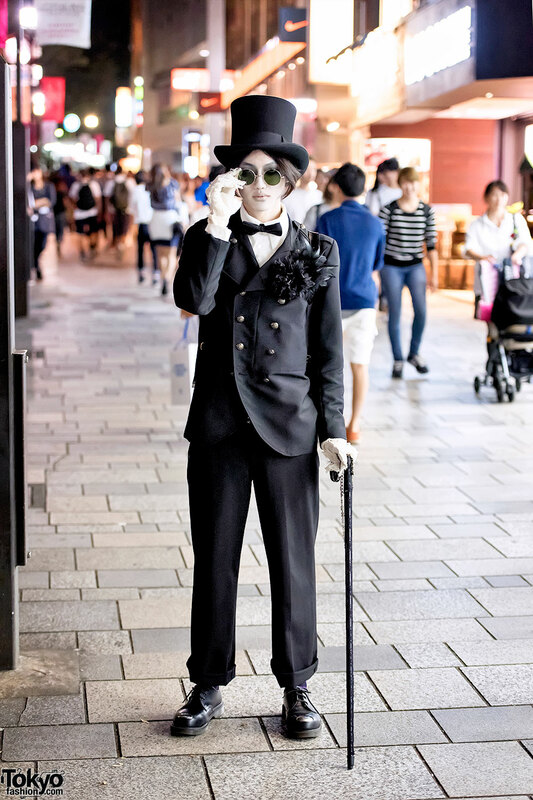 Japanese fashion student wearing a top hat and bow tie with a jacket, slacks, cane, and steel toe boots on the street in Harajuku. Harajuku guy in top hat, laced vest, ruffle shirt, and laced pants with Harajuku girl wearing dip dye hair, resale dress, lace top, and platform boots. 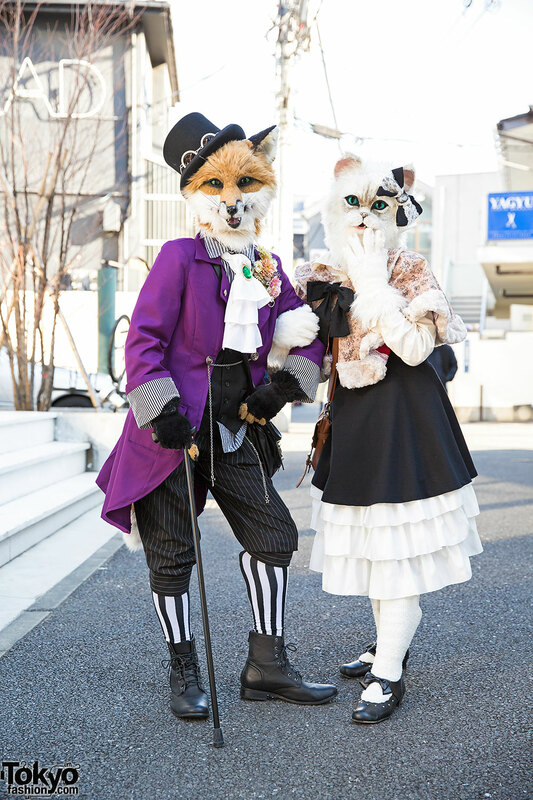 Furry fox and furry neko on the street in Harajuku wearing a top hat and hair bow, purple coat and tiered dress, bow flats and boots. 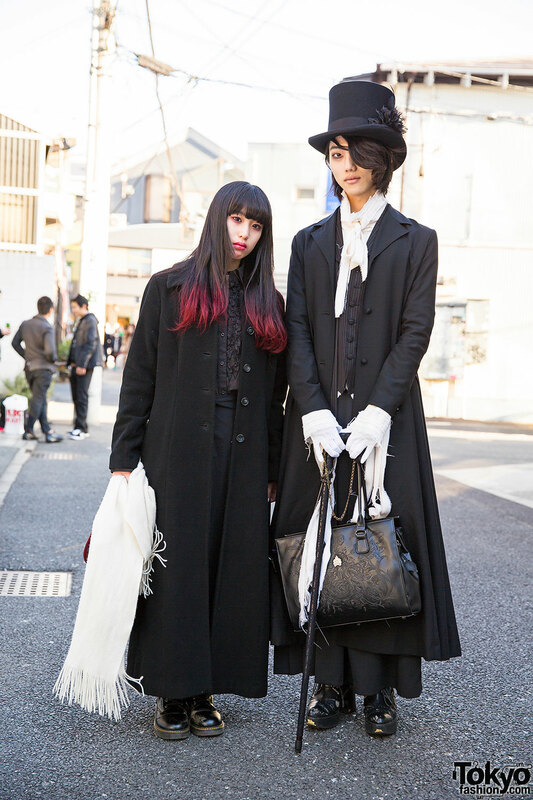 Harajuku guy in a top hat and long black coat by Alice Auaa with a Harajuku girl in a dip dye hairstyle, black resale maxi coat, and lace up boots. 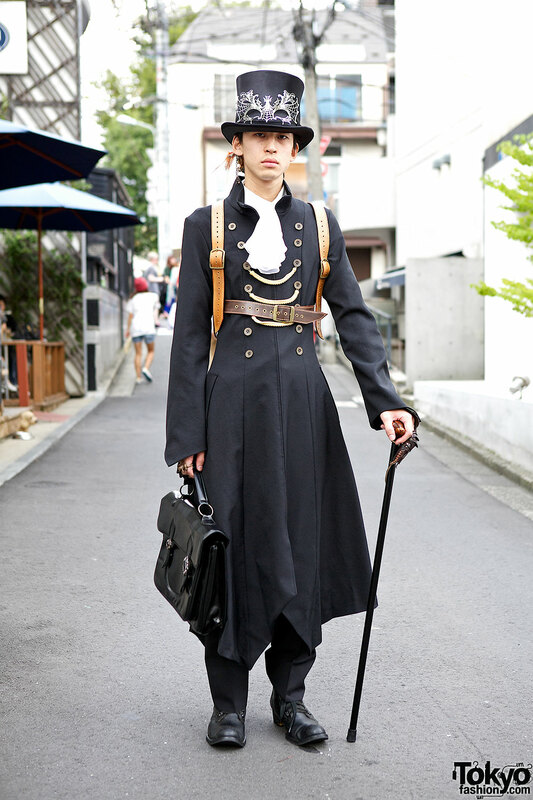 Harajuku in guy in steampunk fashion with items from Atelier Boz, Black Peace Now and Hatohiro Mikami. 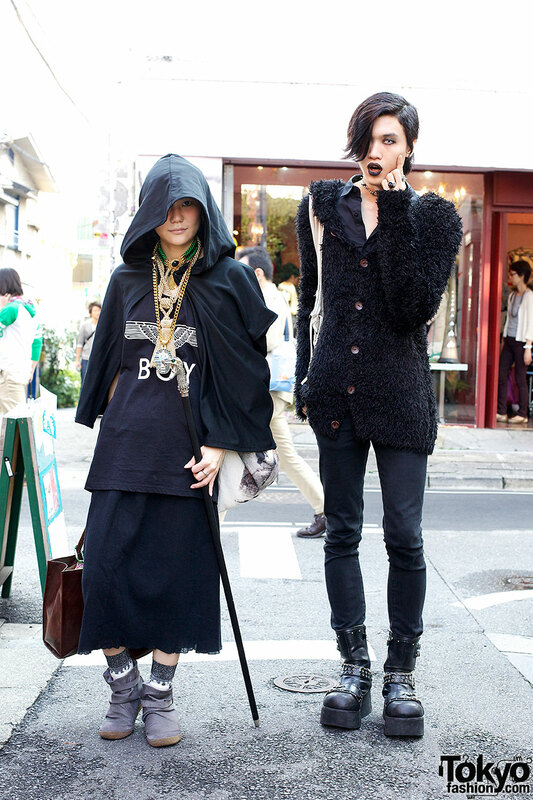 Stylish Harajuku duo in all black with hooded cape, faux fur jacket and Demonia boots.